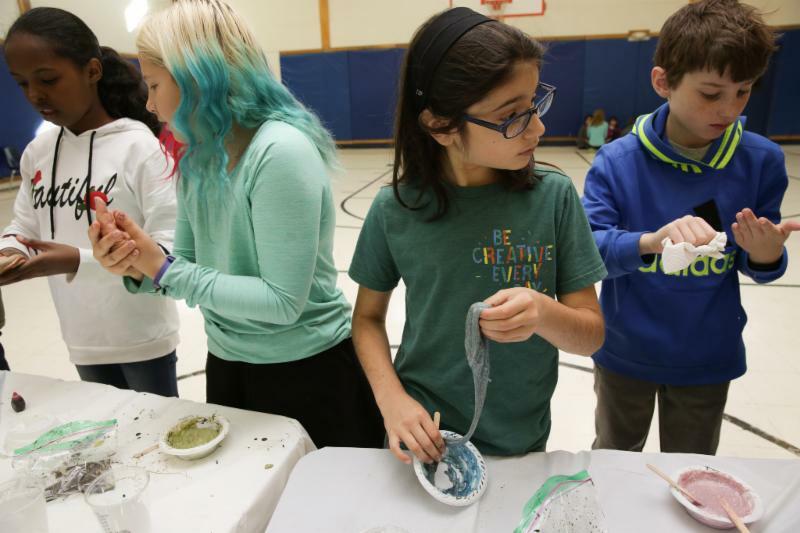 Magnetic slime was a very attractive activity for middle schoolers. Parker students love science! We have an ideal campus to trigger questions. 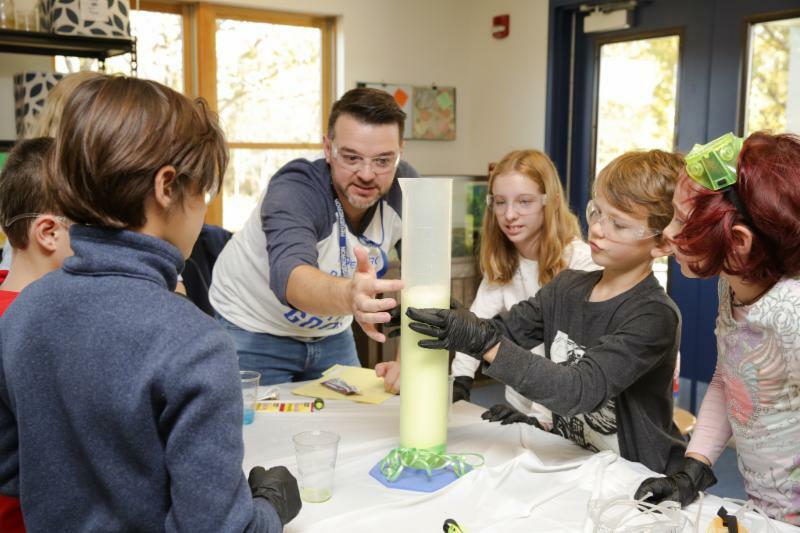 We have faculty who love to set up experiments with students and teach them, not just the vocabulary of science, but even more importantly, the process of science. And, we have neighbors, at the pharmaceutical company Regeneron in East Greenbush, who love to visit each fall and provide a morning of science for our students. 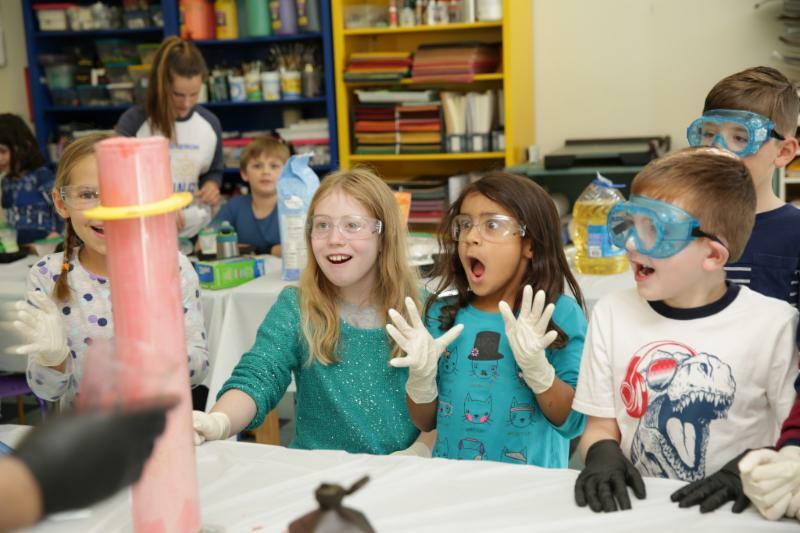 This year students made “elephant toothpaste,” to learn about chemical reactions, and magnetic slime to learn about magnetism and mixtures. The beaming faces were not just on the students. The volunteers left looking very happy too. “Your students are great and so interested!” said one happy volunteer. 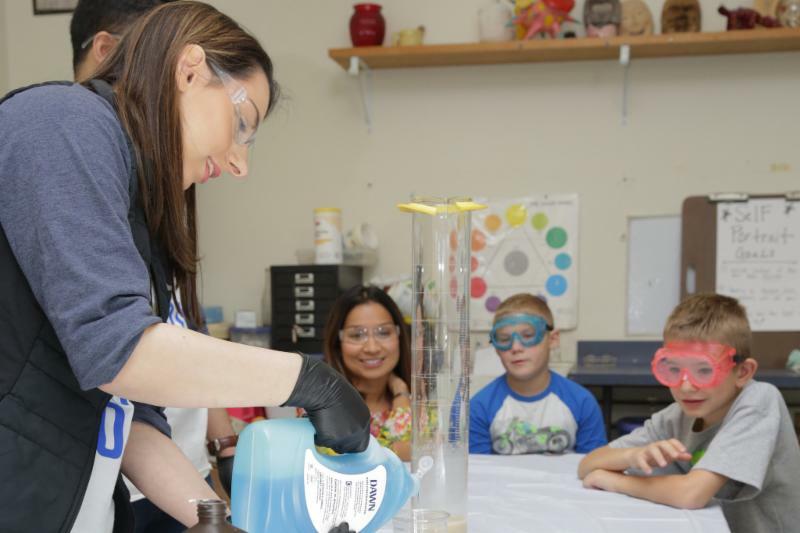 Having contact with adults who work in a scientific industry is helpful to students as the begin to determine where their interests lie, and what the possibilities might be in the future. Most jobs that our graduates will fill have not yet been invented, so having a rich and broad education, that allows adults to be flexible thinkers, is key. Our Regeneron volunteers came from different backgrounds and arrived at the company following different paths. 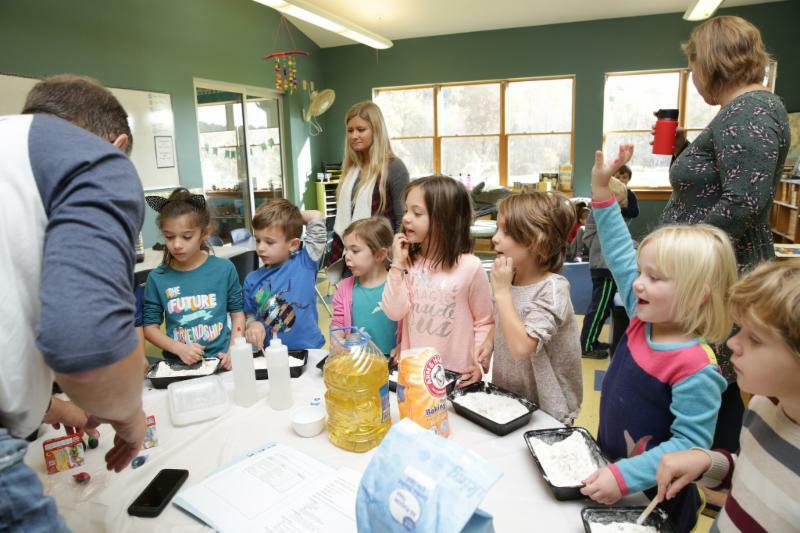 Their love for science connected them and also served as a great example for the students. We are very grateful for their continued interest and enthusiasm for visiting Parker! The Regeneron visitors were preceded by a science filled Friday morning assembly. 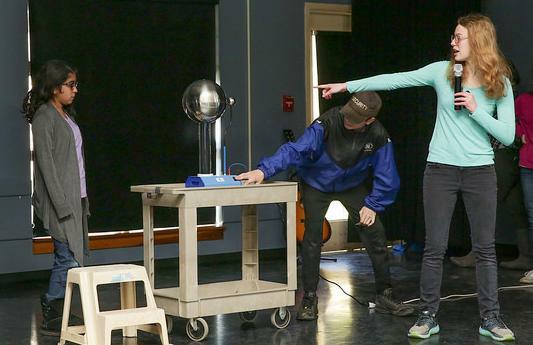 Grade eight used Parker’s new Van der Graaf generator to show that electricity can be conducted through…Academic Director Jennifer Gresens! 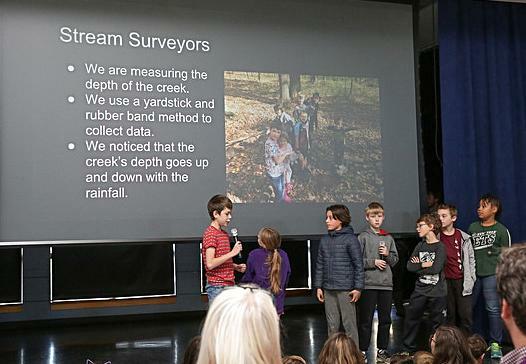 And, Grades 4-5 explained that they are studying the creek by taking measurements of its physical characteristics, over time. They plan to give the community updates, and so far have documented how the depth of the creek increases after rain. This entry was posted in Blog, News & Events, Parker Posts. Bookmark the permalink.